Discussion in 'Windows' started by RGiskardR, Sep 13, 2018. 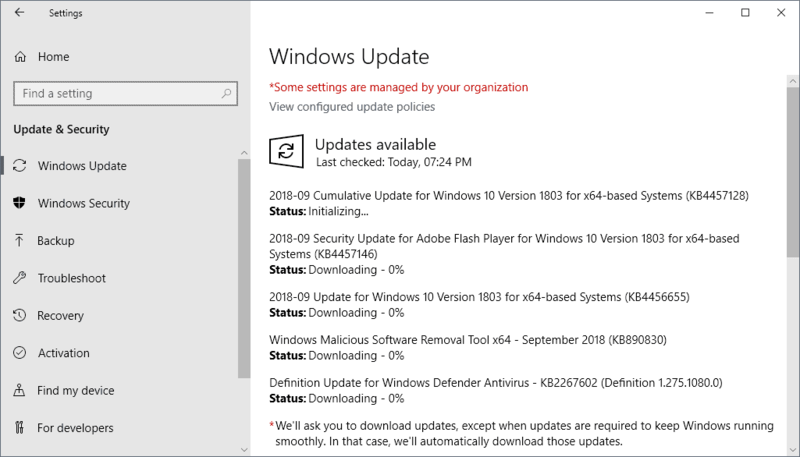 Today is the second Tuesday of the month and that means that Microsoft has just released security updates for all supported company products. The August 2018 Patch Day was rather uneventful, especially if you compare it to the July 2018 Patch Day which introduced quite a few serious issues. Microsoft released security updates for all versions of Windows the company supports officially, for Microsoft Office, and for other company products. The updates are already available on Windows Update, the Microsoft Download Center, and through other means. Our monthly series provides you with an overview of this month's security updates and non-security updates that Microsoft released. Links are provided to read up on particular patches on Microsoft's Support website and there is a handy resource listing at the end for deeper information. Note: We recommend that you wait with the installation of updates until the dust settles. Updates may fix issues but they may also introduce severe issues that may cause all kinds of issues. In any case, we recommend that you create a backup of the system before you install Windows updates.